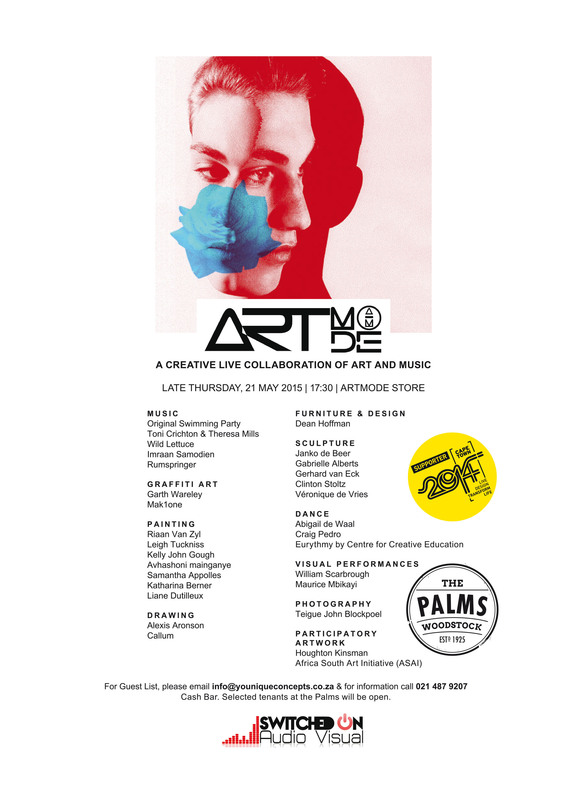 The second edition of Artmode took place at The Palms in Woodstock on Thursday, the 22nd of May, and true to the Artmode culture of collaboration the audience was an eclectic mix. The distinguishing feature for me with this edition is that Woodstock gave it a different buzz to the Bree Street first edition. Although still attracting young hipsters there was a notably older crowd as well. What remained unchanged was the fact that artists still got their hands dirty with putty, traditional paint and spray cans while guests gasped in admiration. Ballet and contemporary dancers performed between classical music acts, visual artistry and rocking live bands. The Riot Factory also offered an ensemble of craft beers. I would suggest Gallows Hill as a tasty entry into the menu. If you missed out, don’t worry. Unsold artwork will be on display at the pop-up gallery until Thursday 28th of May so if you spotted something you like, hurry there and pick it up.